I am going to come out and say it in the first sentence of this review; I was kinda “Meh” about this book. It wasn’t because it was a 3rd (and last) book in the series. 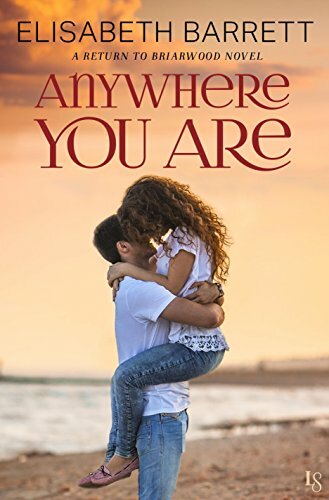 Anywhere You Are can be read 100% as a standalone book. It wasn’t because of Great Dane with the name of Mr. Pipplepotts (THE NAME!!! LOL). I do think it was because Marc and Grace weren’t believable as a couple. Something about their relationship struck me as forced. I don’t like it when a romance novel comes across that way. Marc was almost too rigid in his dealing with life and with Grace. I can understood some of his rigidity, the way he acted with Grace was a little over the top sometimes. He blew hot and cold, and as a reader, it drove me nuts. Grace grew as a character in the book. She was a person who hid out all the time and let people take advantage of her. She became someone who stood up to her family, Marc and people who took advantage of her. I loved it. Plus her interactions with Mr. Pipplepotts was great. Like I said above, Marc and Grace’s relationship seemed forced. I couldn’t put the finger on it, but I do think his past issues were part of the relationship being the way it was. They also didn’t seem to connect with me as being a couple until the very end. The ending was what I thought it was going to be and all issues throughout the book were resolved. What got me was that Marc, who is private, was OK with Grace doing guest spots on her family’s reality TV show. A total 180 from where he stood that the beginning of the book and that bugged me.